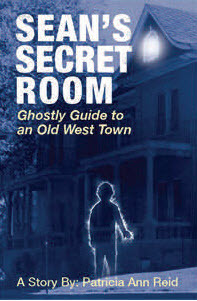 CIPA member and author, Patricia Ann Reid’s book, SEAN’S SECRET ROOM ‐ Ghostly Guide to An Old West Town is currently being reprinted for the second time with an upgraded cover done by Benjamin Hummel. The story is a kaleidoscopic ride through 1907 Trinidad, Colorado, combining history and fantasy! It is available in softcover and as an ebook. A DVD of period photos may be ordered separately. Reality factor is that there are documented ghost sightings at the story’s location. Read more on Pat’s website.